All Web Sites, products and services are provided, as is, without warranty of any kind, either expressed or implied, including, but not limited to, the implied warranties of merchant ability and fitness for a particular purpose. Colm Dillon does not warrant, guarantee, or make representations regarding the use, or the result of the use, of the Web Sites products, services or written material in terms of correctness, accuracy, reliability, currentness or otherwise. The entire risk as to the results and performance of the Web Site, its written material, products or services is assumed by the user. 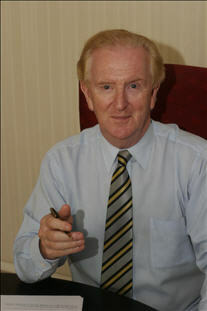 Any earnings or profit statements or earning or profit examples are only estimates of what Colm Dillon thinks they should be in Brisbane, Queensland, Australia in the year 2003. There is no asurance that in using these figures you will gain a favourable result in the user's operating market place and the user agrees to accept the risk that they may not get a favourable financial marketable result. Successful results are based on many factors. 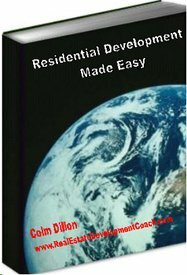 Colm Dillon have no way of knowing how well you will do, as he does not know the users, their background, their work ethic, or their business skills and / or practices. Therefore he does not imply that the user will be financiallly successful in real estate development. The user agrees that Colm Dillon, (his successors and assigns) is not responsible for the success or failure of the user's business decisions relating to any information presented by him or his products or services.